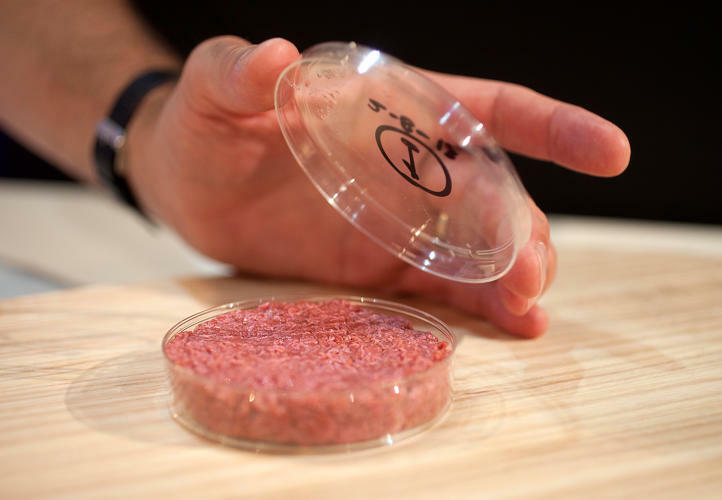 Kill-Free Meat Successfully Produced, Soon To Hit The Market! What if you could keep eating meat without contributing to the slaughter of animals? That would be perfect scenario for everybody, right? Well that’s not a dream anymore, it’s a reality! In an effort to provide an alternative to the large-scale industrial slaughter of animals, Dr. Uma Valeti and his team of researchers at the University of Minnesota developed a technique to produce meat without killing animals. They produced kill-free, contamination-free meat products from harvested animal cells in under 21 days. They used animal cells that were able to renew themselves, supplied them with oxygen and nutrients such as sugar, and cultivated them into an edible product in nine to 21 days, The Huffington Post reports. Besides sparing the lives of animals, the meat created in the laboratory has reduced saturated fats and added benefit of being free of bacterial contamination. “The meat that we are growing is identical at the molecular and cellular level,” Valeti told PTI. Approximately 56 billion animals are raised and slaughtered for human consumption each year globally, The United Nations’ Food and Agriculture Organization reports. This number is expected to double by 2050. “Cultured meat will completely replace the status quo and make raising animals to eat them simply unthinkable.” says Valeti. He plans to roll out a line of kill-free beef, pork, and chicken products to restaurants in the next two years and have it commercially available by 2021. Their manufacturing facility is based in the U.S, but there are plans to expand out to China and India as well. This is a perfect scenario for all, humans who eat meat, vegans, animals, the Earth.